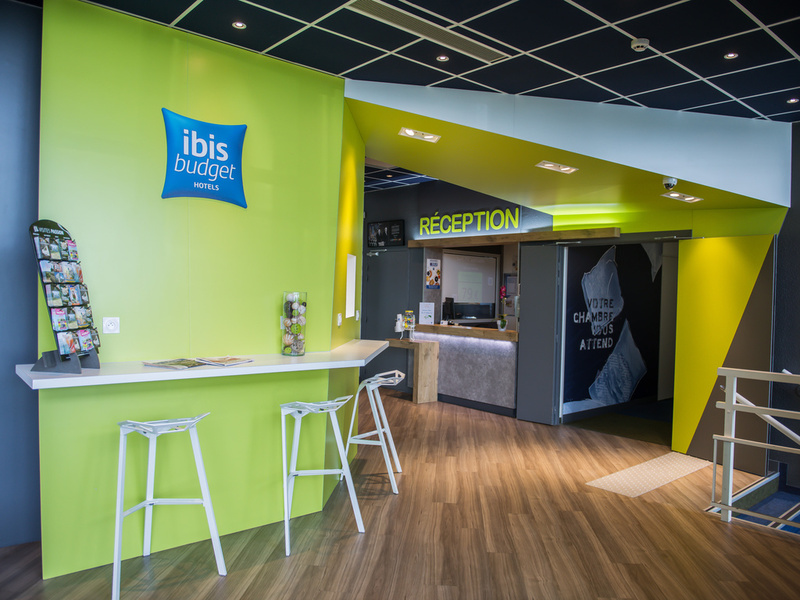 The ibis budget Site du Futuroscope is the closest hotel to the park, just a 5-minute walk via a dedicated walkway. All of our rooms are non-smoking and air-conditioned. Family Rooms are available. A free private car park is available. C. ROUX and the entire team will be delighted to welcome you during reception opening hours. We have been well received at the lobby. The people were nice we us and have responded to all our questions. The hotel is nice, clean and apparently well maintained and the bed comfortable. We did like very much the small drawings on the room’s doors. The breakfast was good. I would have apricate some ham on the self-service. However, from the train station for the pedestrian going the hotel, it is not easy to find it. Little bit more information and/or indication would help a lot. Saying that, we have spent great time in this hotel, thank you to the team for your hospitality. Cordially, Thierry L.
The accommodation was very good, but teenagers shouting all night was not good. Ver convenient for the motorway. Quiet and very clean. Ideal for families on transibt or visiting futuroscope. It was comfortable and clean, the bathroom had a smell not sure, but not fresh. My dog found some rubbish under the bed, not a lot but should not have been there. Friendly check in, room very clean with all of the facilities we expected. Very quiet. Excellent service, clean and efficient. I had to change my booking via email which was no problem at all. Reception was really helpful and everything was in place when we arrived. Good breakfast too. I've payed 87Eur to confirm one room of 41Eur by phone and after all I stay with 97Eur room and 87Eur for the call who now one say to me they have a additional cost or a special call, for me it's super incorrect act. Not fine practices in yours strategies of group. The room it's normal for the 97Eur, nothing special. The receptionist was very kindly and helpful. After all I discovery the number I've called was from Accorhotels (Ibis group or partner I don't know), You can ear the call, the operator was very nice, but she forgot tell me on the beginning about the pied service. I think it's a very hard way to win easy money. Poor experience at Adagio Access and this was much better than expected at very short notice. It was a great experience with ibis. I loved the lodging, breakfast, the friendliness of the staff and everything. Nice and bustling place, very good to spend family moments. I hope to return to the other Ibis lodgings. Thank you. Thank you, and see you soon. In the first night broken shower and execution water stucked so the water was everywhere. I had spoken to receptionist in the morning according this, then they have fix it. Pls before to sell rooms double check if everything works well. Suggestion : put bath mat in the bathroom cause its really slidey, dangerous! All was fine except we got the room for handicapped people, and found it not comfortable as one of th ebeds has a wooden part sticking out just at the hight to hit you on the knees!! Pleasantly surprised by breakfast.